New York Painting Services supplies a number of contracting services to commercial businesses and residential homes throughout New York and New Jersey. We are fully licensed and insured to offer our professional workmanship with affordable rates. Our specialists have advanced training, years of valuable experience and extraordinary skills that are enhanced with the use of premium grade products, materials, tools, supplies, and equipment available only to licensed professionals to ensure you get maximum results. Not only do you receive superior craftsmanship, but we uphold high moral standards, friendly customer service, and exceptional work ethics to ensure your project is carried out smoothly and efficiently. New York Painting Services assist the residential homeowners across New York and New Jersey with their nursery rooms by getting it ready for the new arrival with a number of services. 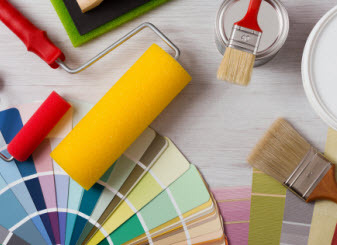 We offer painting consultations, interior painting, faux finishing, custom mural painting, drywall replacement, installation, or repairs, carpentry services, wallpaper or other wall covering removal or installation services, and more. With the many services we offer you can completely remodel your nursery or make simple stages to get it ready for your little one. New York Painting Services can get your nursery completely revamped with a simple paint job or a custom mural. 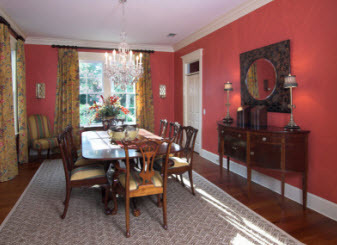 With our painting consultation service we can talk about how the psychology of colors influence mood, or discuss current trends, keep colors neutral for non gender specifics. No matter your desires our consultation can contribute to the cause and guide you on the right path. Our talented experts can paint custom murals that depict certain themes or scenes from your favorite tales. Faux finishing can help you achieve a splendid look of texture without reaching deep I the pocket book to get the materials to creates the authentic texture. No matter what kind of interior paint you want for your nursery in New York or New Jersey, New York Painting Services experts can help you obtain it. 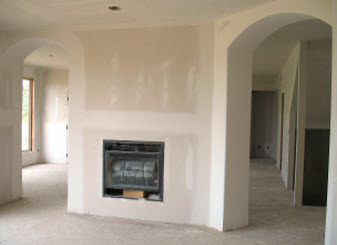 New York Painting Services offers drywall services to better create your nursery in New York and New Jersey homes. Whether you got carried away putting the rocking chair or crib together and punched a hole in the wall or want to add some storage space, our experts can handle the drywall installation, repair or replacements to enhance your nursery. New York Painting Services carpentry service blankets a few services from baseboards to crown molding to cabinet’s bookshelves and custom shelving. Creating your perfect nursery with the finishing touches is just what you need. Crown molding is the accessory for your ceiling; it blends your ceiling and wall seam in with an elegant strip of wood or something similar, painted to accent the room and often carries a subtle design. Baseboards are the opposite, meant to blend the wall and floor in. Having the cabinets, custom shelving or bookshelves can add adorable storage space for its practical uses. There are many options available to make your New York/New Jersey residential home’s nursery amazing and New York Painting Services is eagerly waiting. Call us today to get started!